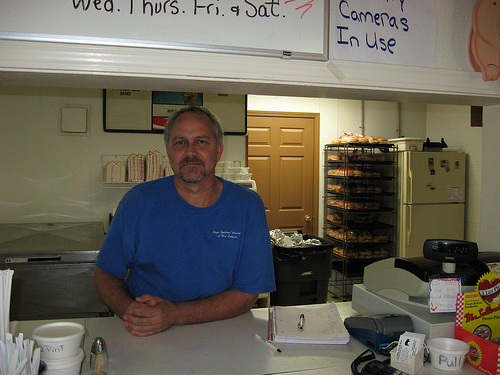 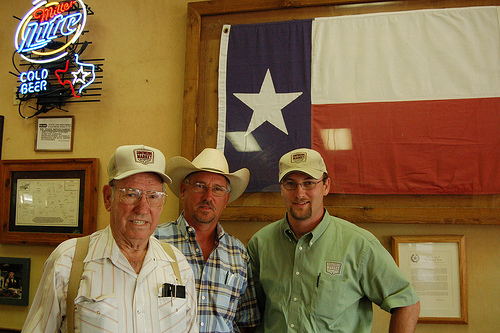 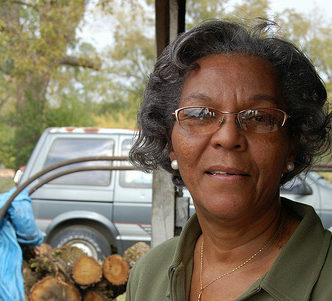 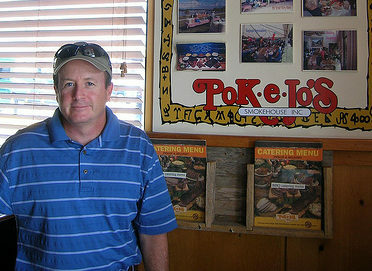 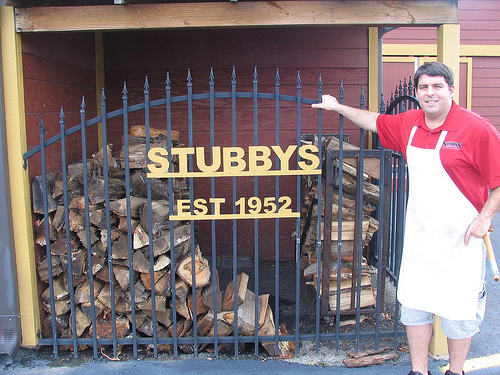 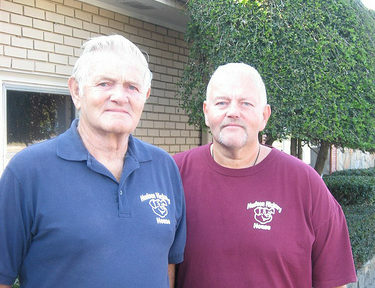 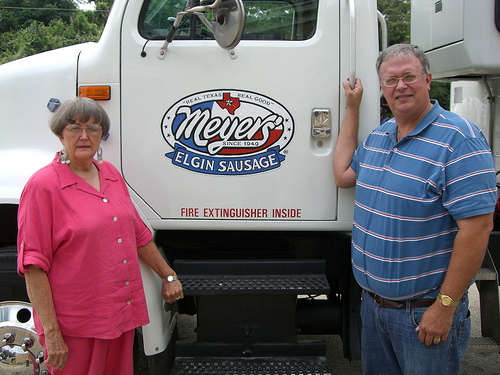 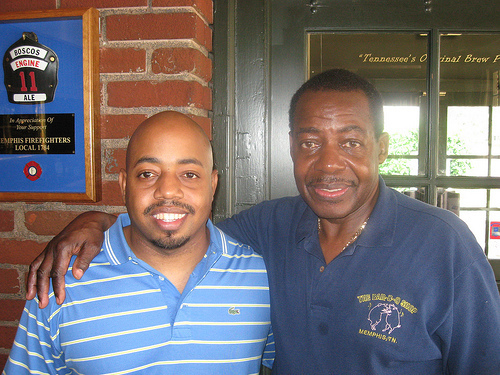 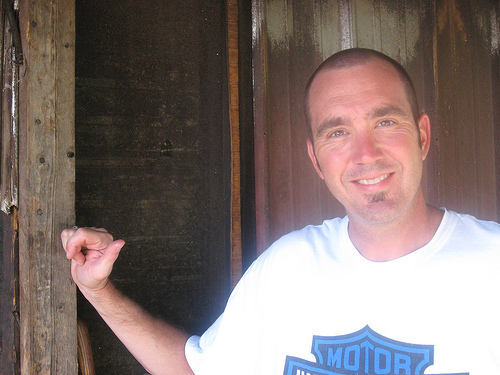 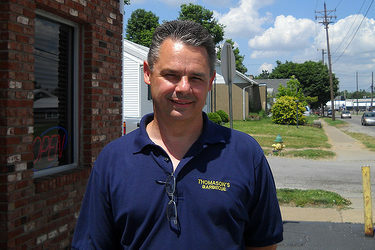 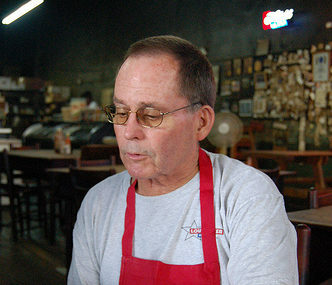 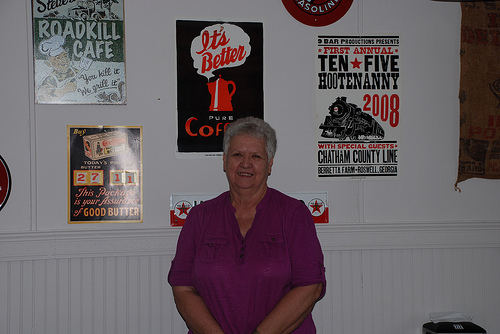 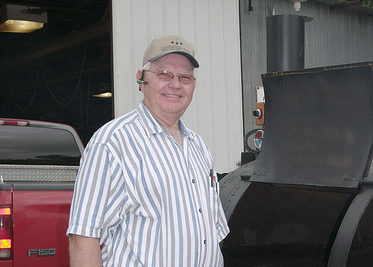 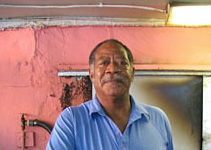 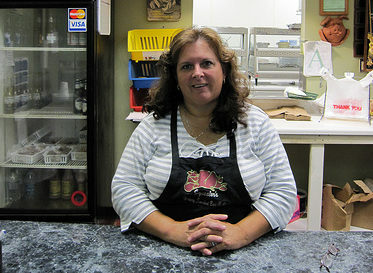 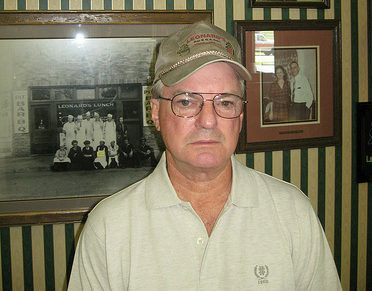 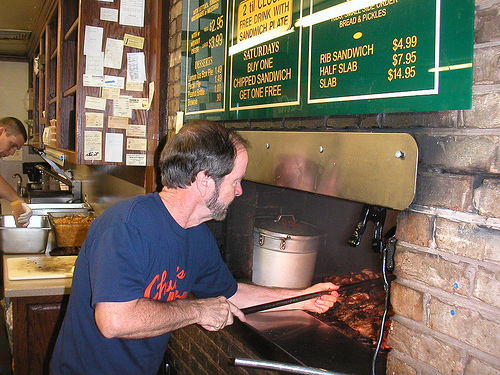 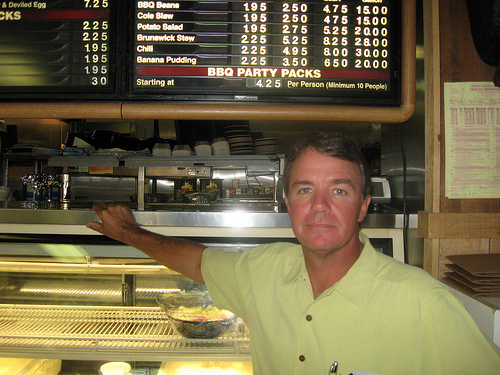 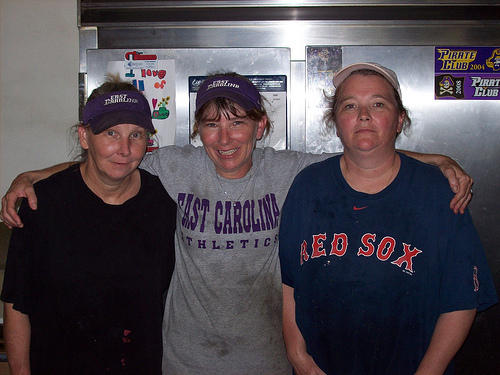 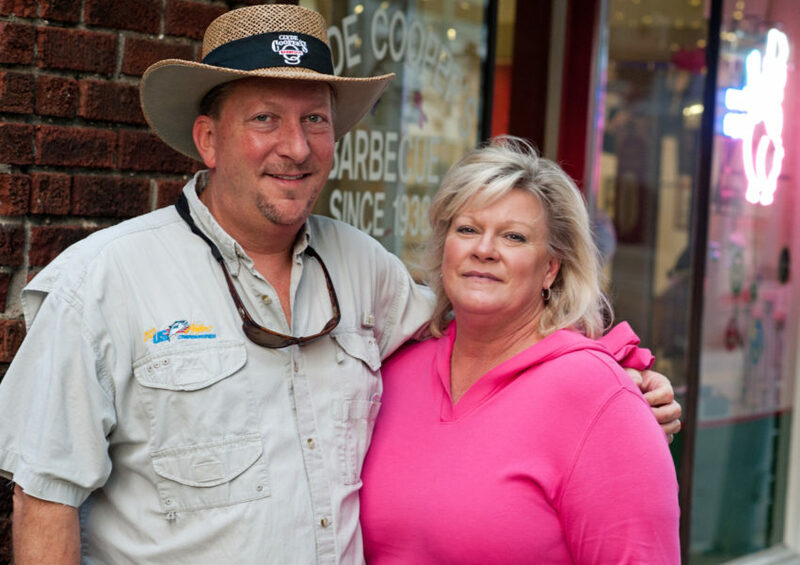 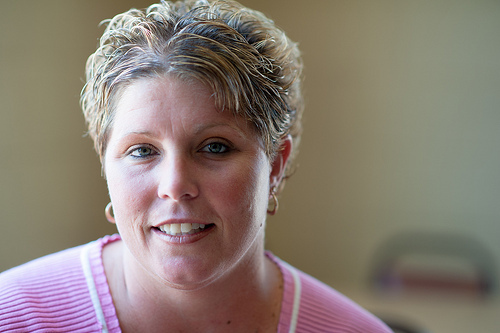 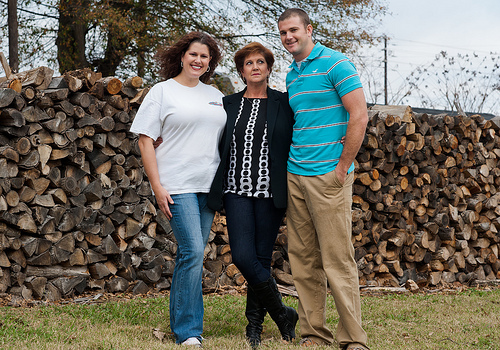 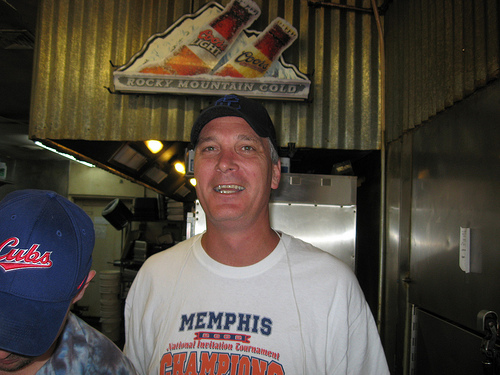 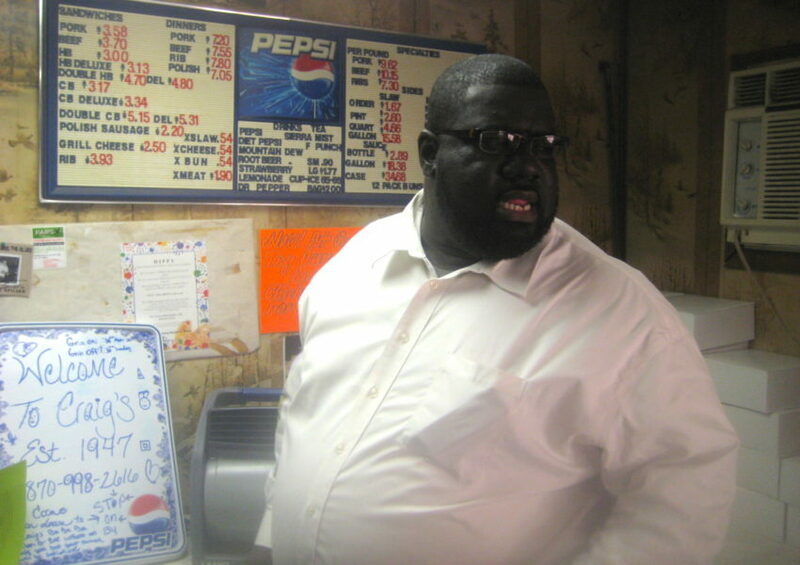 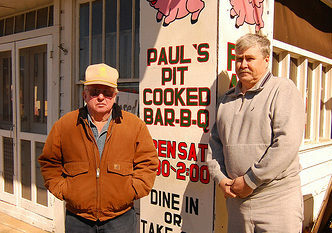 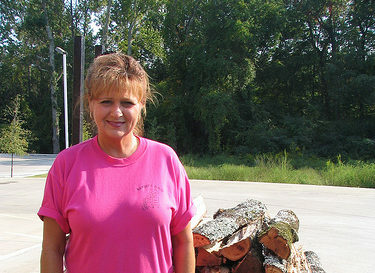 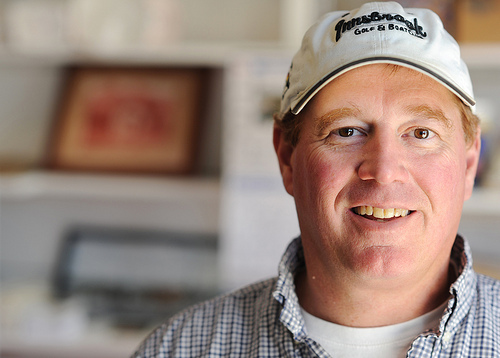 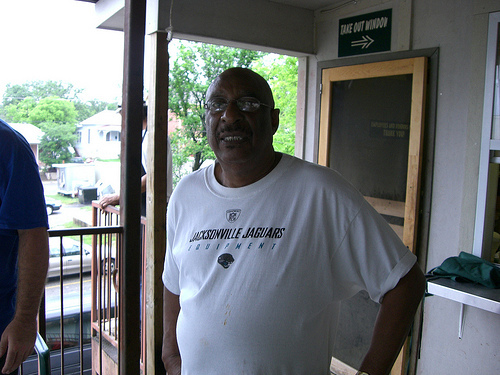 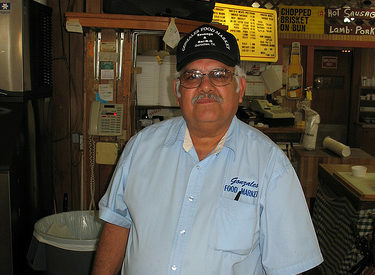 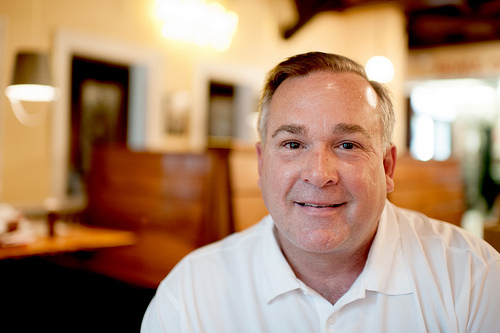 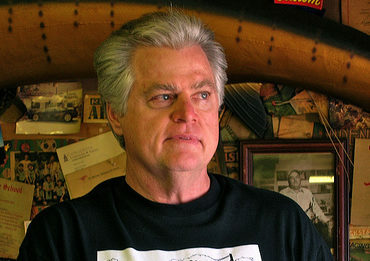 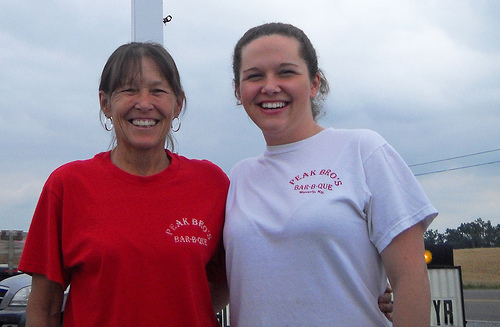 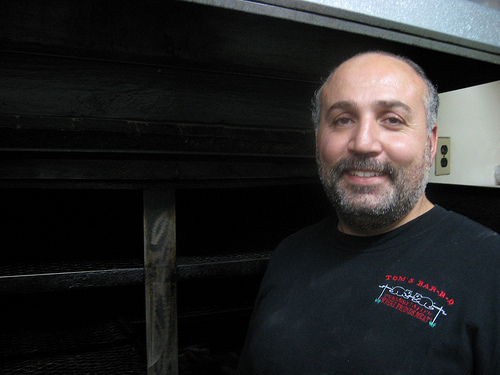 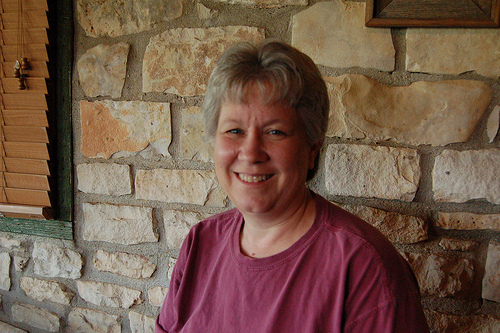 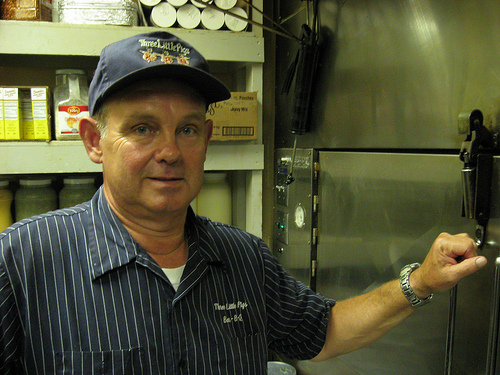 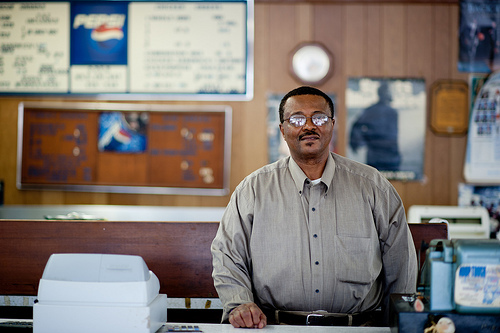 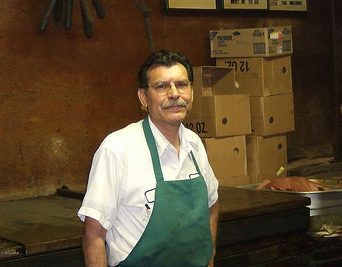 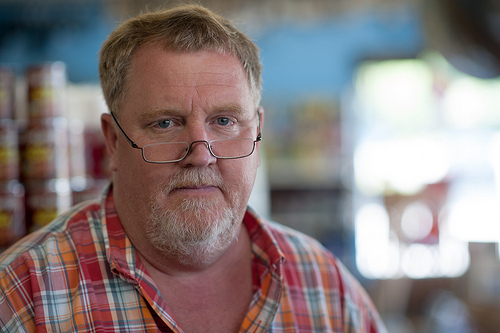 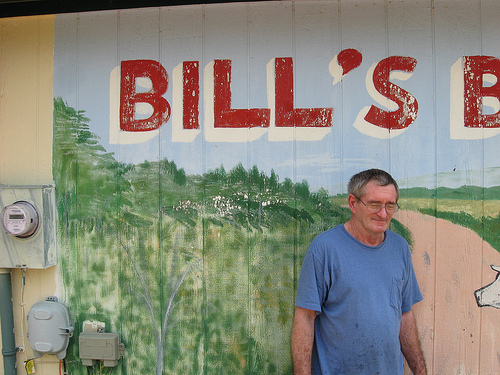 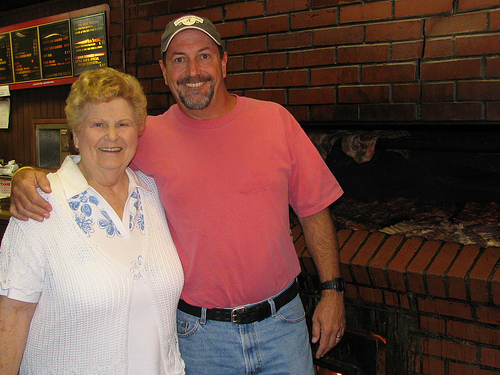 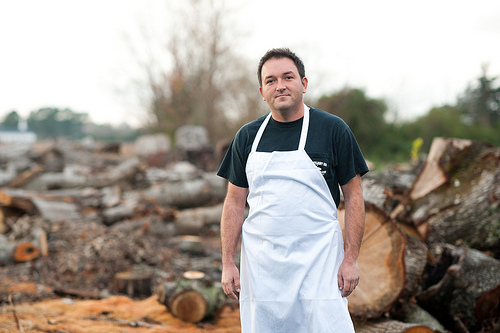 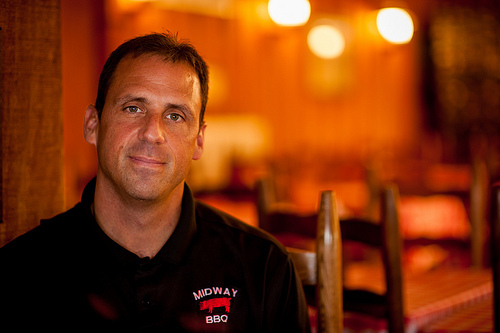 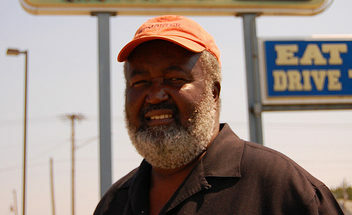 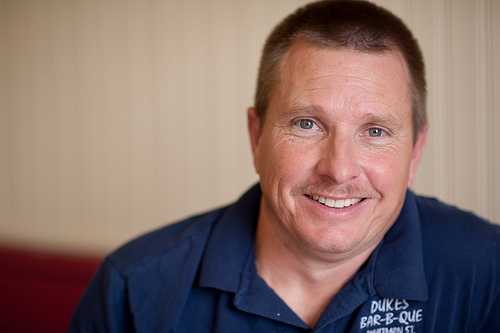 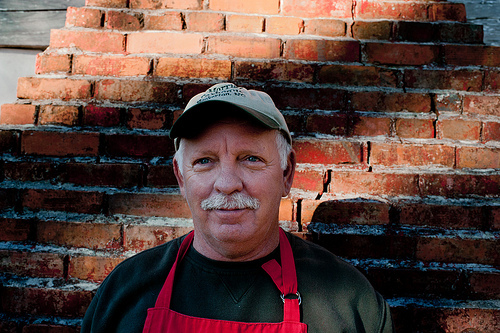 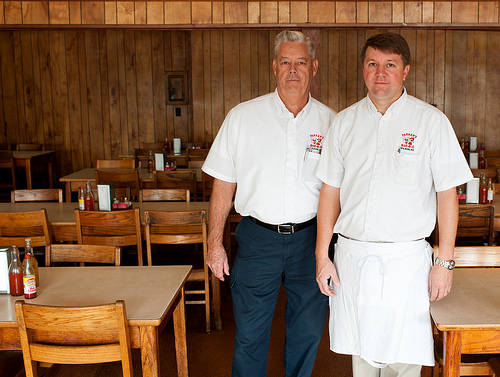 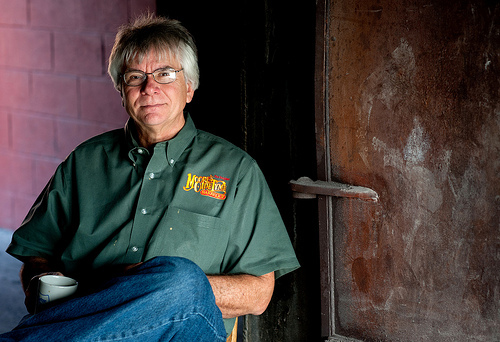 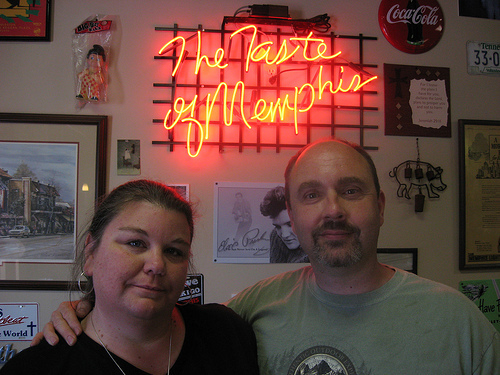 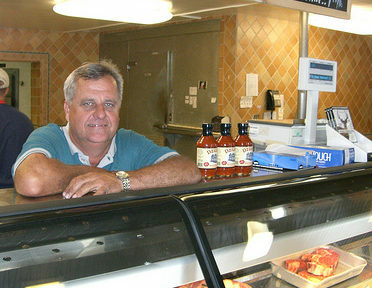 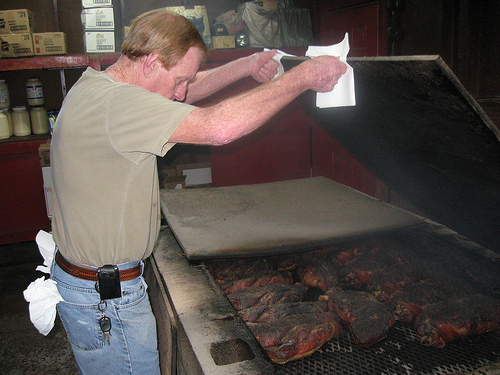 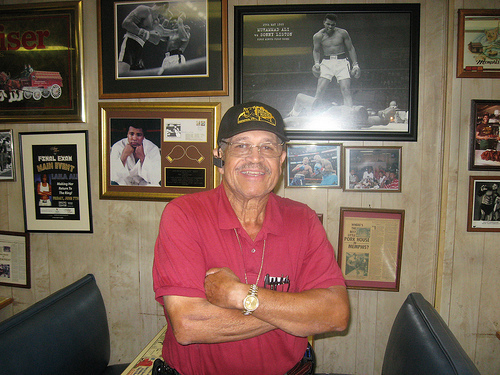 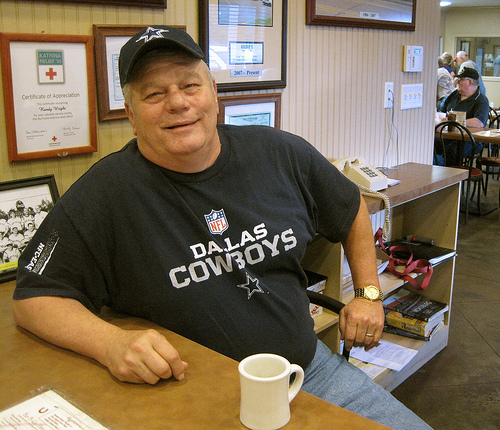 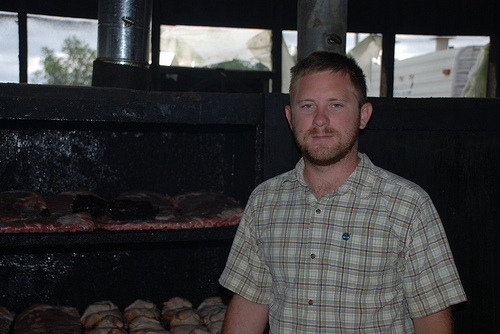 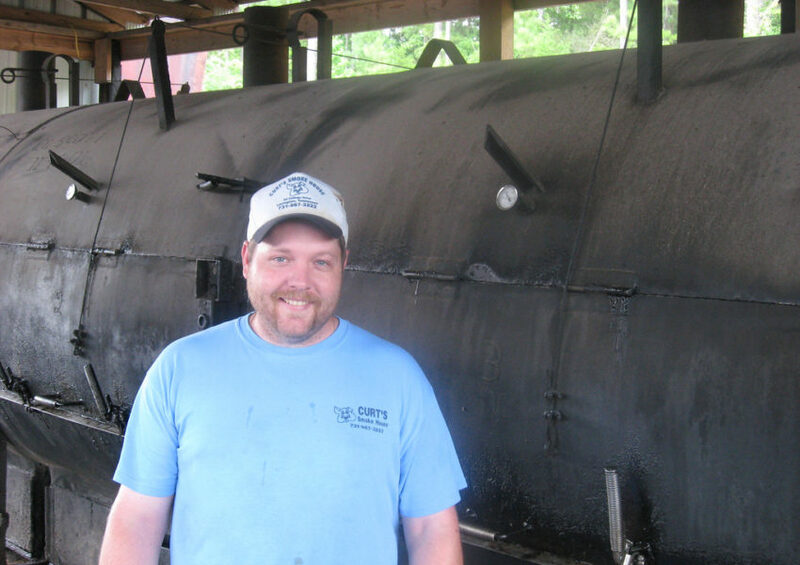 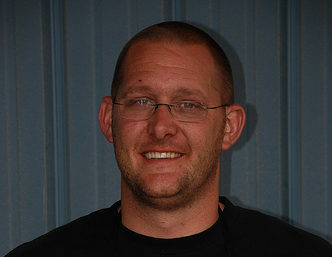 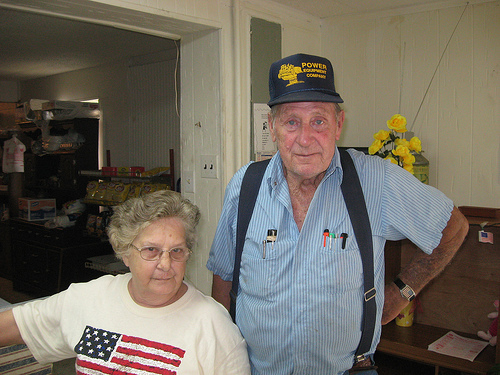 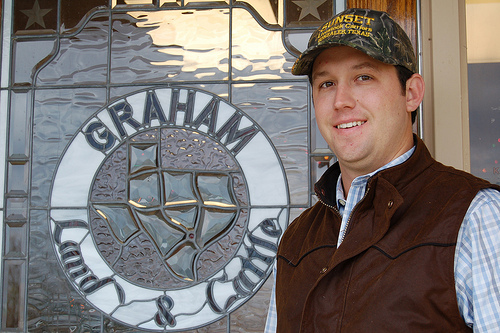 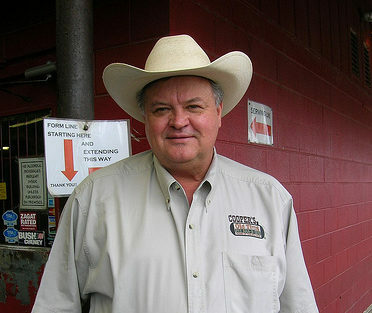 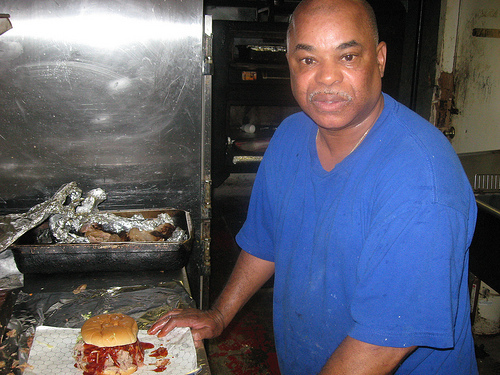 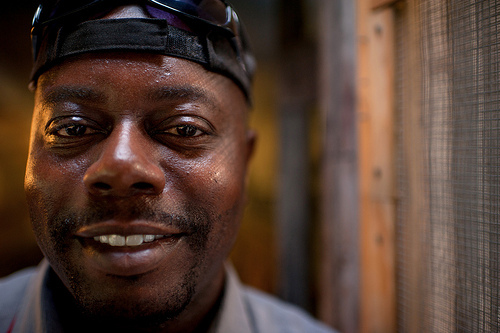 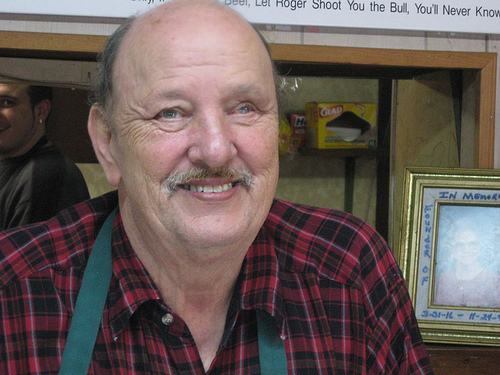 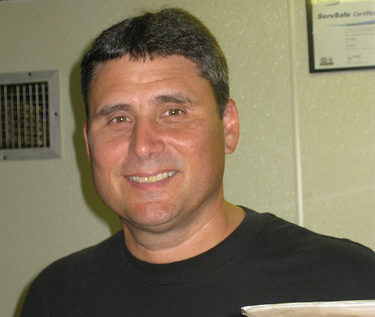 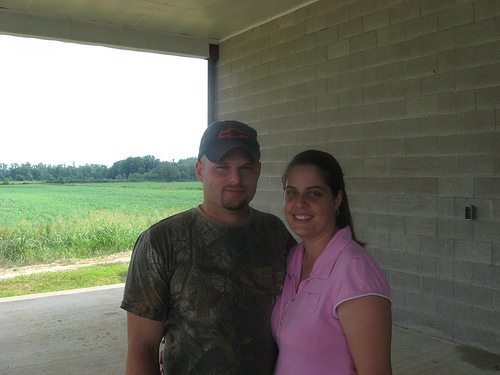 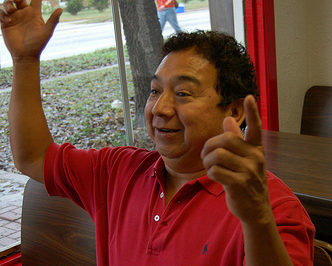 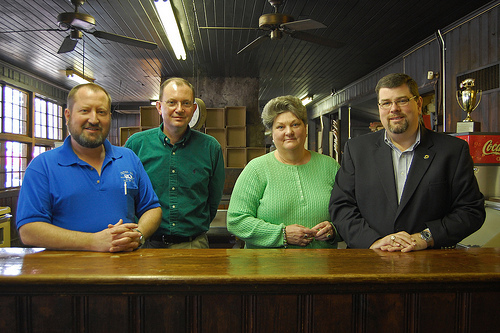 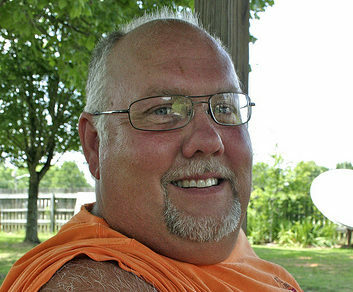 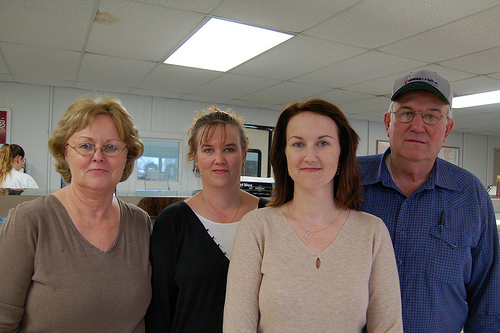 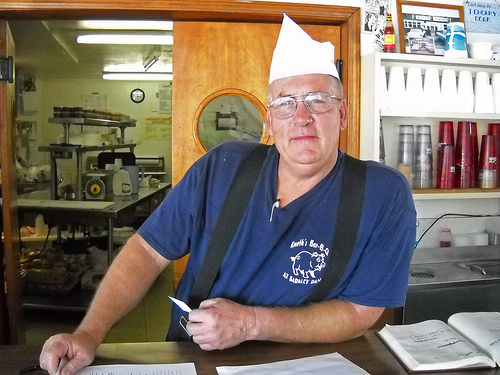 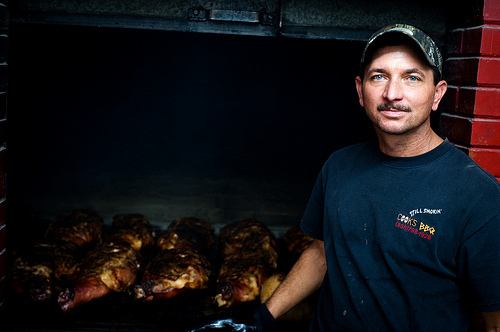 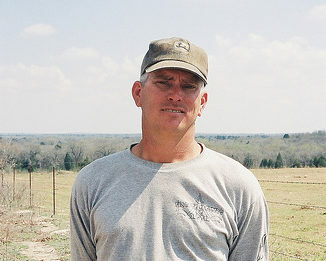 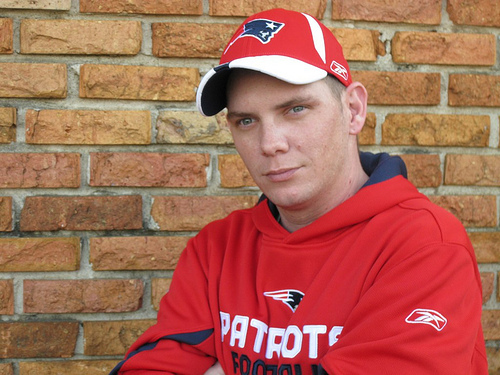 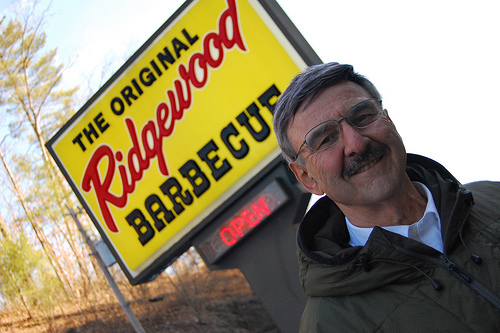 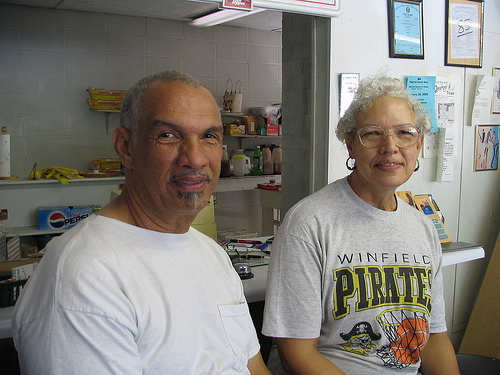 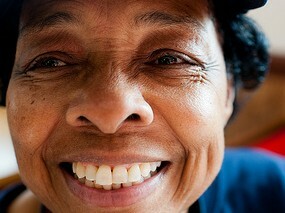 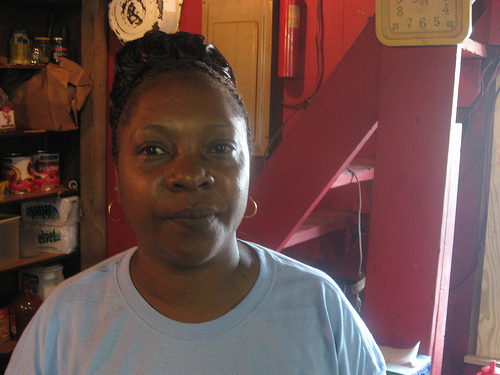 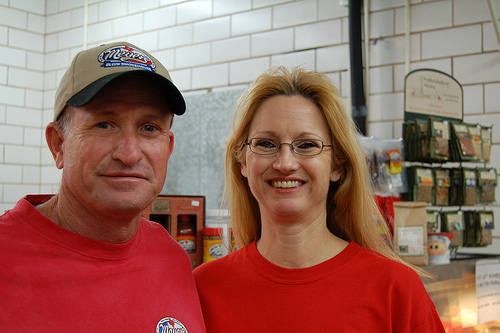 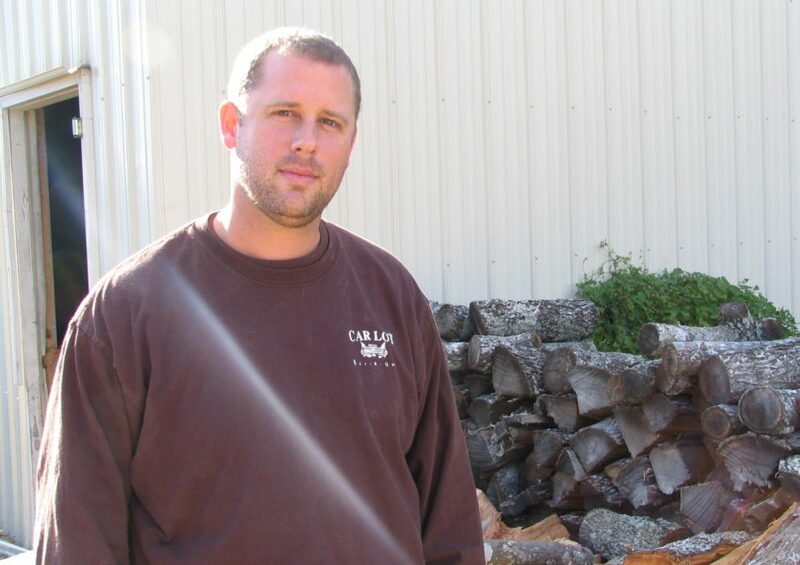 Though Chris Siler has owned the Old Time BBQ only since early 2007, he has worked at this place for five years prior. 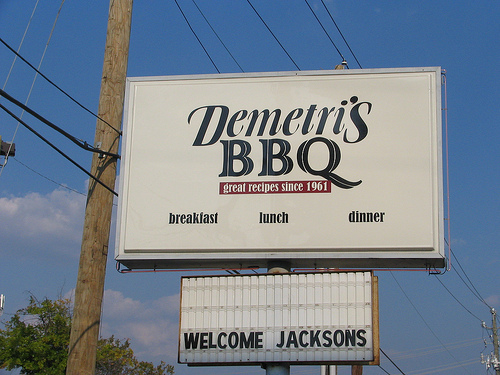 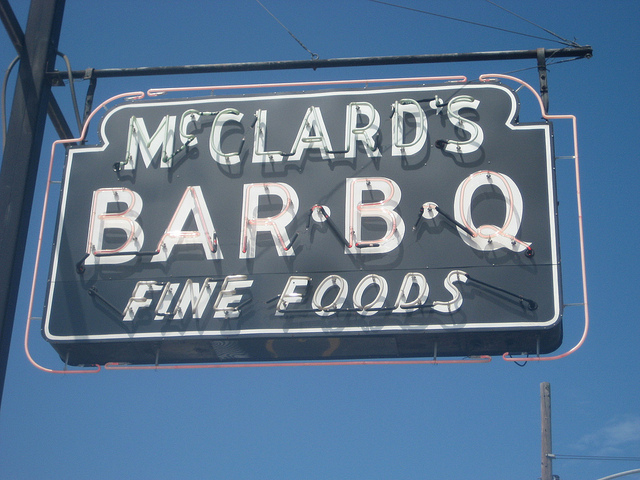 At this spot in a bend in the highway—as the legend goes—the rituals of barbecue have been performed for over a century and a half. 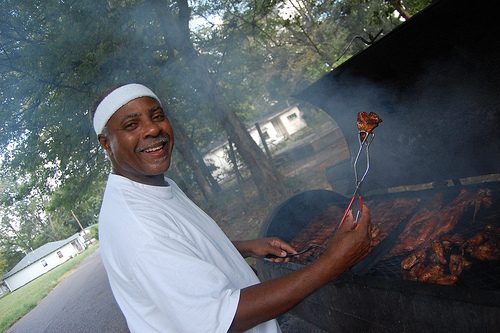 Henderson is what it is, men who do not barbecue, who do not eat barbecue, have no place here. 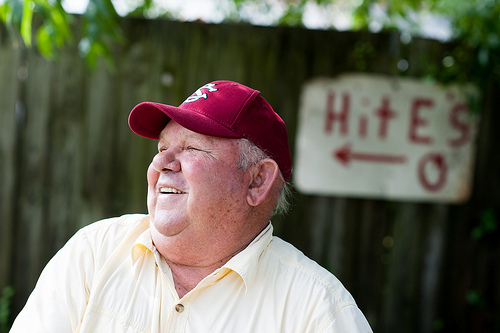 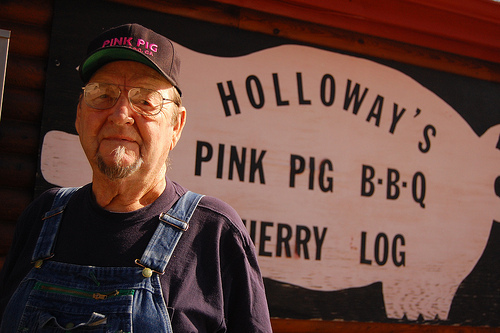 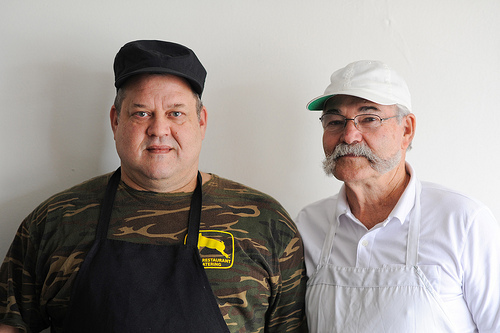 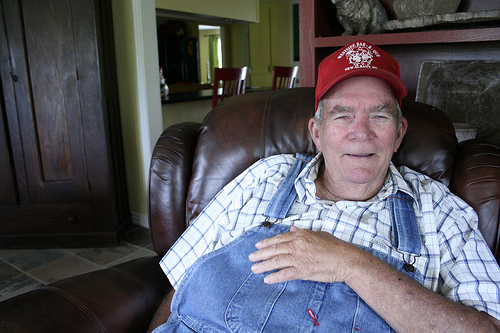 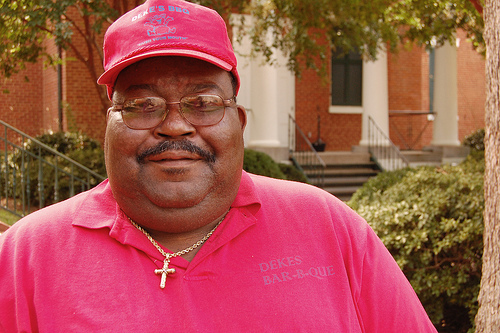 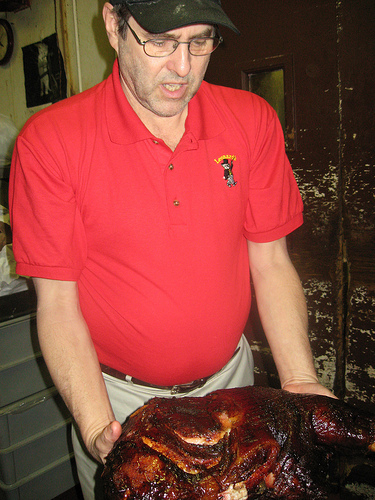 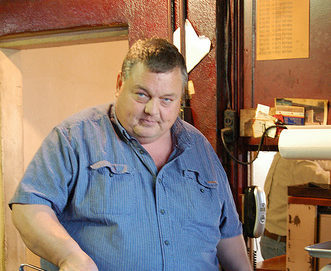 Siler gives full credit for the whole hogs to Ronnie Hampton, pitmaster extraordinaire. 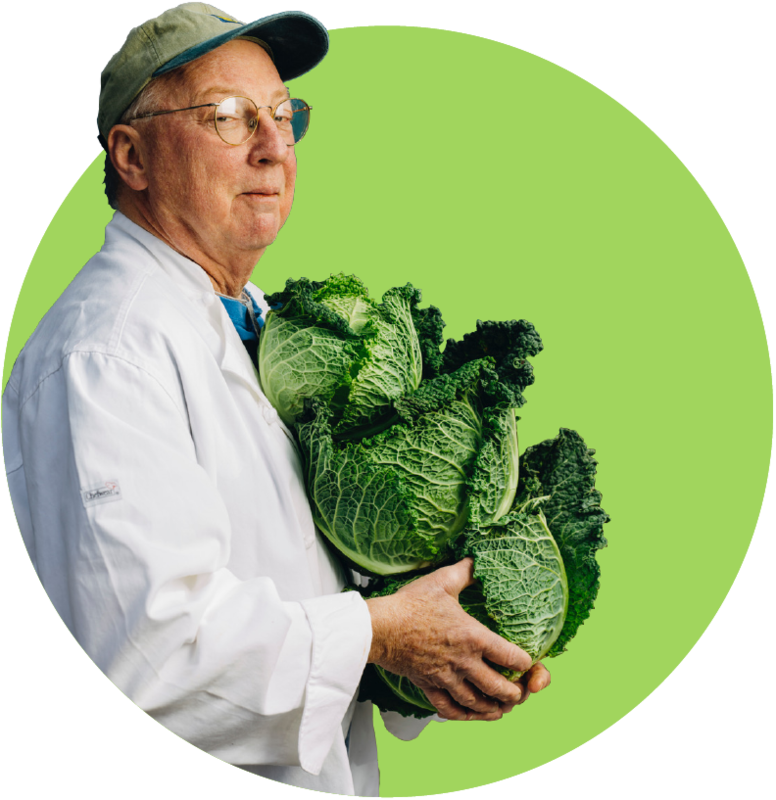 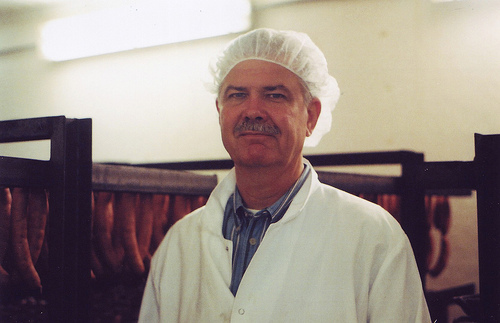 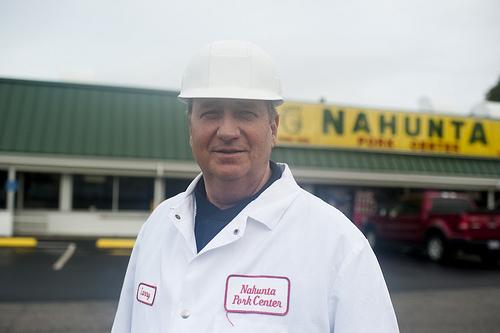 On the job Mr. Hampton seems to exist in a meditative state dedicated solely to cooking pigs. 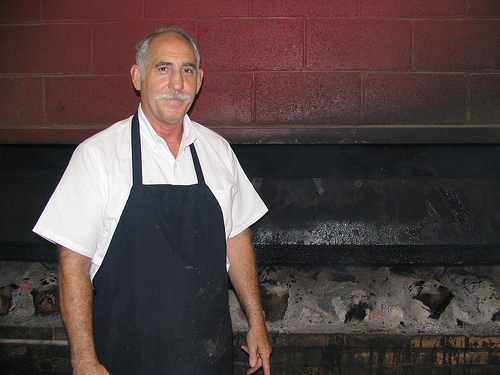 He sits and stirs the hickory coal fire for hours each day. 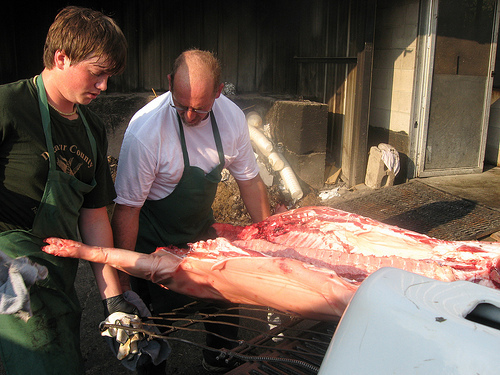 As if by instinct he knows the exact moment to “fire” the hogs—that is put more heat under them—by means of a long-handled shovel. 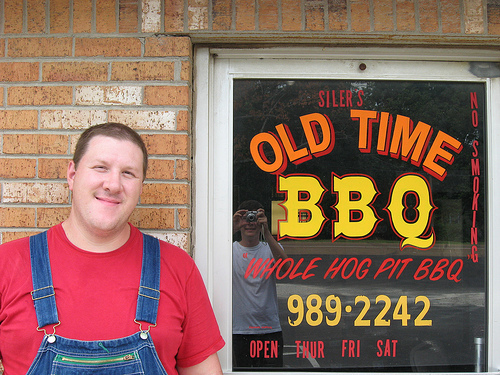 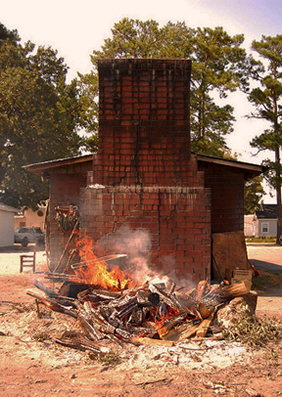 Siler’s assertions of honoring the Old Time smoke-ways are justifiable. 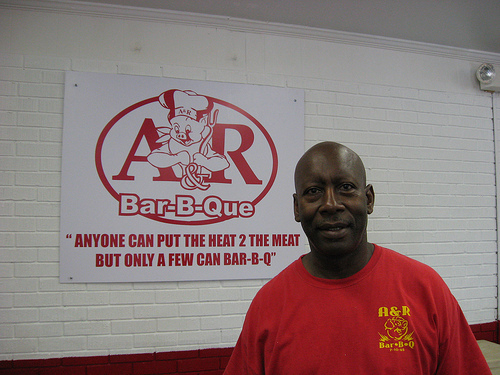 He is one of the few who persistently insists on whole hog barbecue. 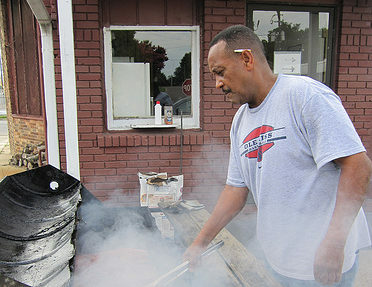 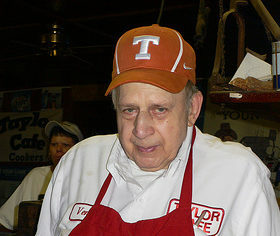 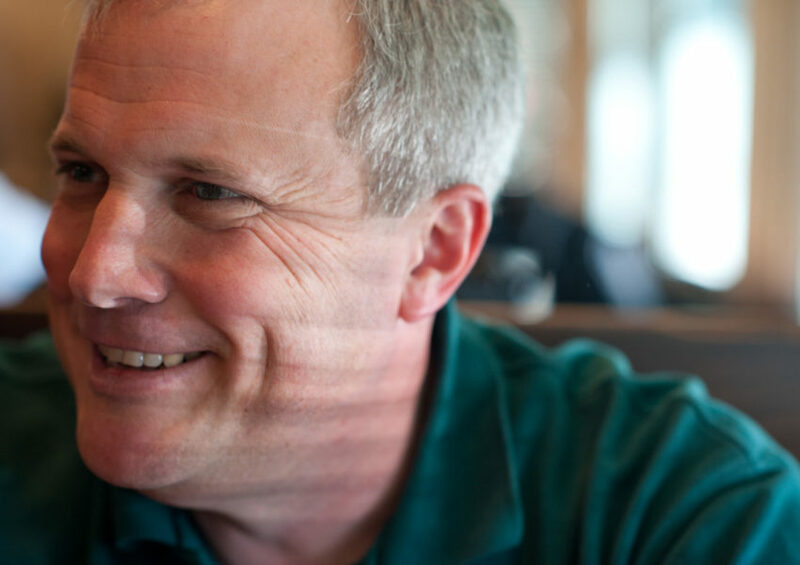 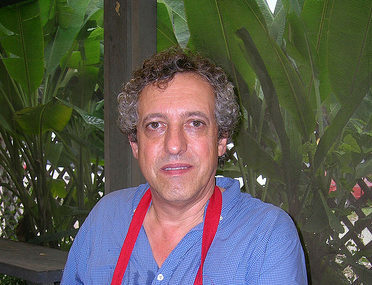 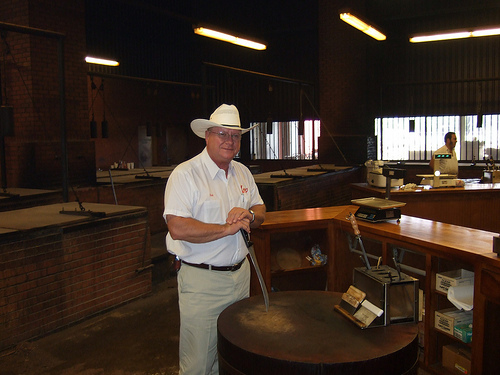 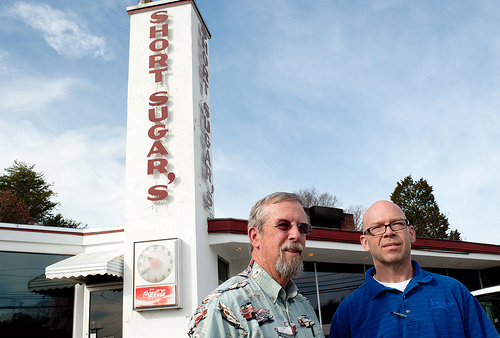 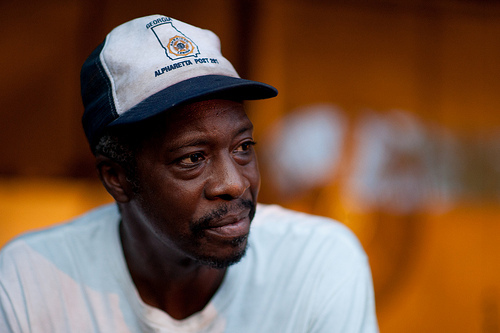 He has also brought back a now forgotten, but once key barbecue ingredient: sorghum molasses. 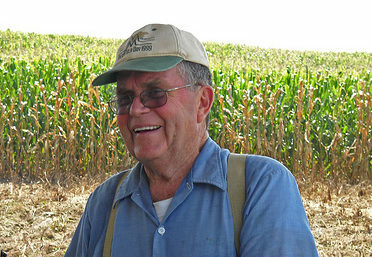 Substituting the now ubiquitous corn syrup with the more earthy, not too sweet taste of sorghum, Siler demonstrates that everything old is new again. 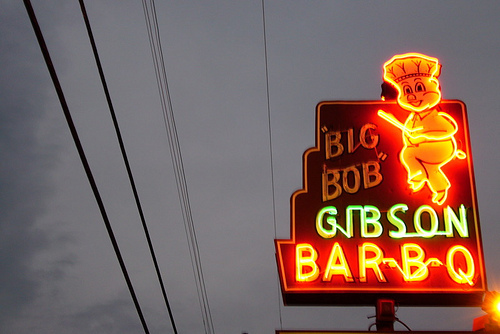 We first visited this location in 2003, when it was known as Bobby’s Bar-B-Q, as part of our initial foray into documenting rural Tennessee ‘cue. 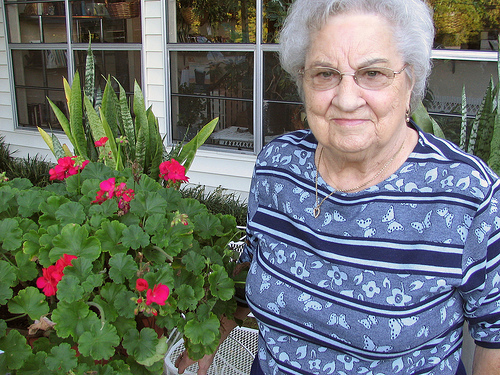 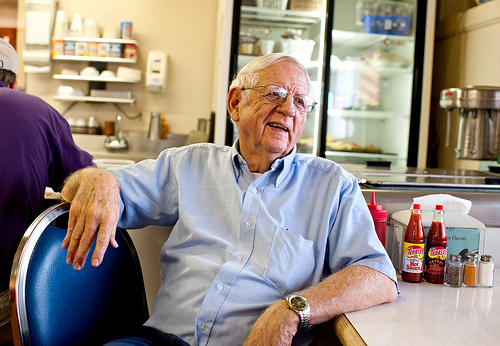 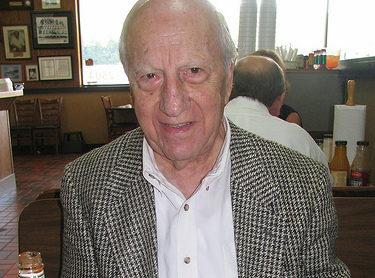 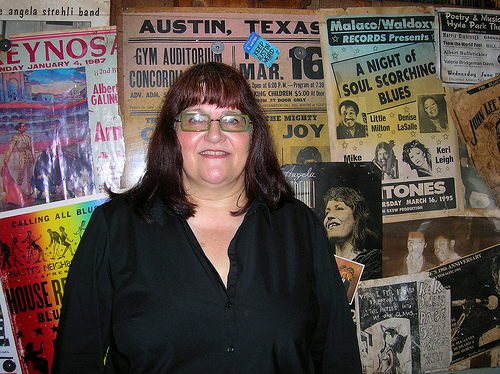 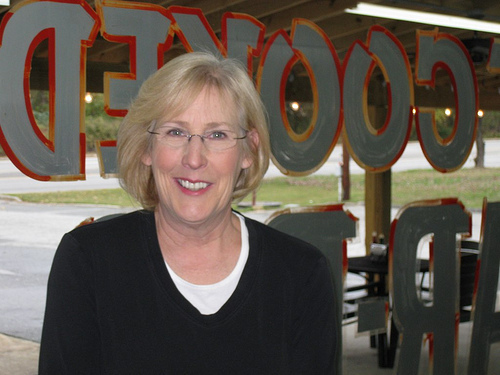 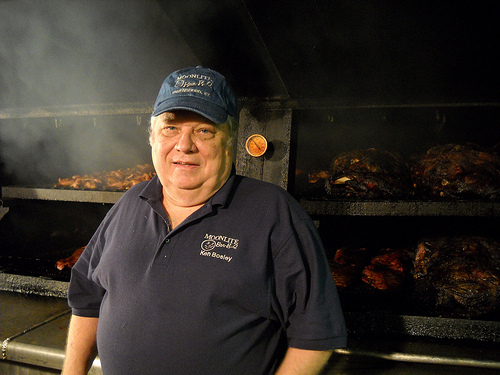 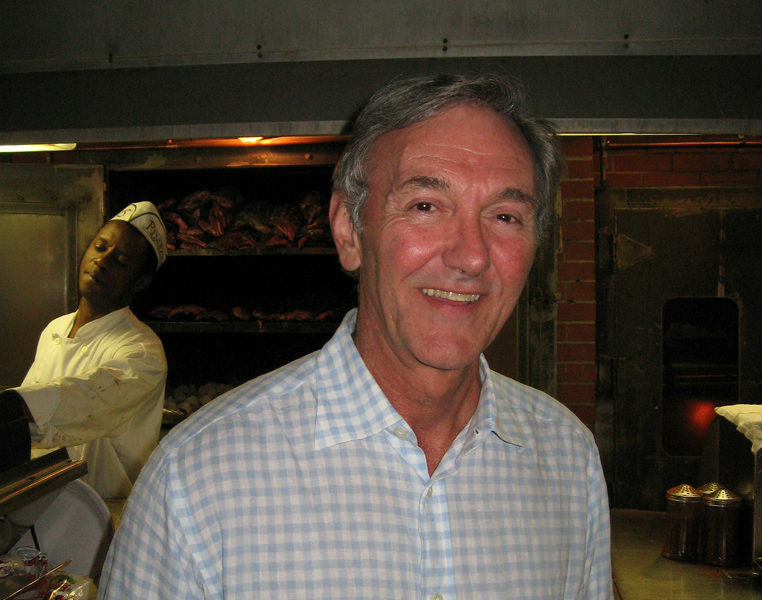 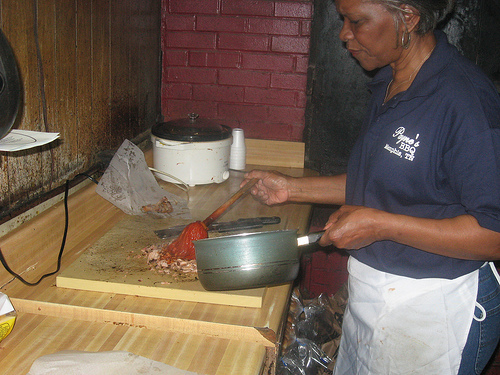 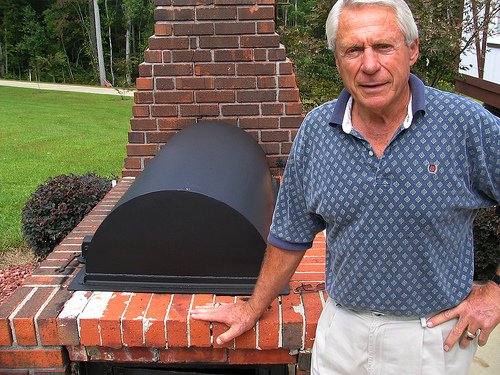 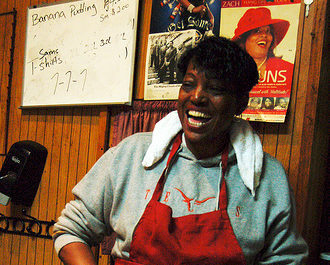 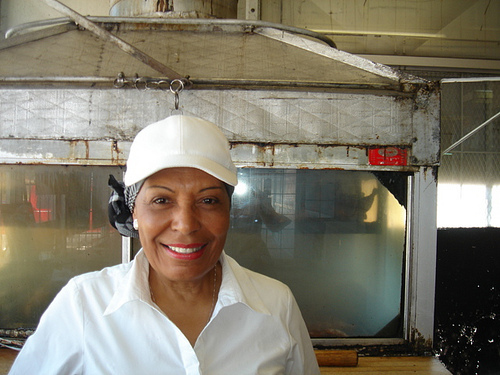 Visit the original Bobby’s Bar-B-Q page.